Jungle Bros Treescapes is a family owned and operated business with over 20 years of horticultural and arboricultural experience in both private and local government environments. We are located in Eden Hills, and can therefore directly service the Blackwood, Belair, Stirling, Upper Sturt, Coromandel Valley and surrounding areas of Adelaide and the Adelaide Hills within a very prompt timeframe. We offer full Public Liability Insurance up to $5 million. 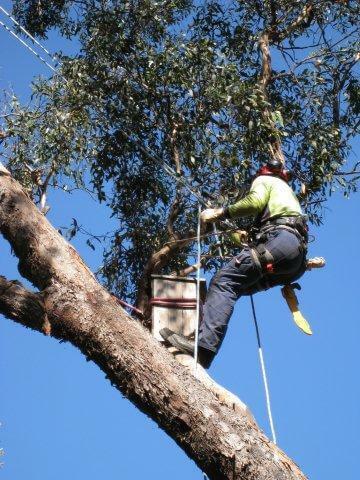 Our team of experienced tree climbers and ground crew are industry accredited and has the relevant equipment and safety qualifications. All staff are in possession of the current White Card, covering OHS legislative requirements, a mandatory requirement for persons working on any construction site in Australia. development and planning, installation of horticultural amenities, fire prevention, erosion control, biodiversity maintenance, and feral plant / pest control and eradication. We are located in the South Eastern Adelaide Hills of South Australia and cover all suburbs and rural areas surrounding Adelaide – and further by negotiation.